Kenyan county governor accused of fraud conspiracy - SABC News - Breaking news, special reports, world, business, sport coverage of all South African current events. Africa's news leader. Kenyan media have reported on more than a dozen graft scandals involving state agencies and officials. A Kenyan county governor and three other officials were charged with conspiracy to defraud the government and abuse of office on Wednesday. Sospeter Ojaamong, the governor of Busia County in western Kenya, and the three others pleaded not guilty as they appeared in front of anti-corruption Chief Magistrate Douglas Ogoti. Ogoti ordered all the four officials to be detained until July 6 when a ruling on their application for release on bail will be given. Ojaamong was arrested on Wednesday as part of a crackdown that has seen dozens of raids and investigations in the past two months. He told KTN News television on Tuesday he was “clean as cotton, or snow”. The director of public prosecutions, Noordin Haji, said on Tuesday that Ojaamong, eight other officials and a company would be prosecuted over the theft of millions of Kenyan shillings of public funds. He said the charges against Ojaamong centered on procurement practices linked to a solid waste management system in Busia, which borders Uganda. Five others to be charged are still at large. Kenyan media have reported on more than a dozen graft scandals involving state agencies and officials since President Uhuru Kenyatta was re-elected last year. 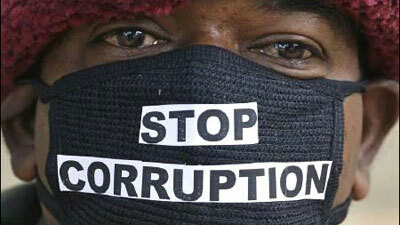 He has promised a renewed crackdown on graft. This entry was posted on 05 Jul 2018,05:56AM at 5:56 AM and is filed under Africa, Homepage Latest Stories Slider. You can follow any responses to this entry through the RSS 2.0 feed. Both comments and pings are currently closed.